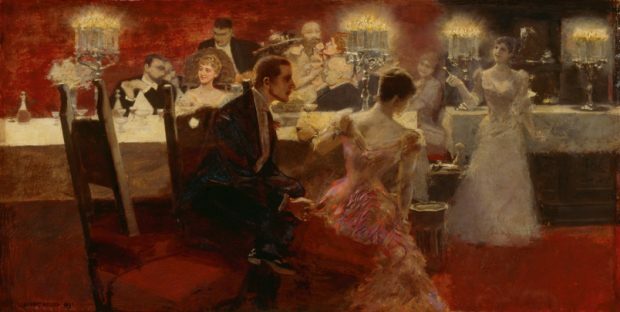 Dinner by Albert von Keller, 1891. With the holiday season well under way, it seems an appropriate time to review a few of the many Victorian era rules for dining in company. The etiquette of the table hasn’t changed a great deal over the years. Some rules are merely a matter of basic common sense. Nevertheless, we could all do with a refresher now and then. To that end, I’ve gathered ten tips from various Victorian era etiquette books and articles addressing the basics of dining etiquette. I present them to you below. The Gentlemen’s Book of Etiquette and Manual of Politeness, 1874. The Golden Rule and Oddfellows Family Companion, 1847. There are countless others rules for Victorian dining, including those on what to serve, what to wear, and how to use one’s knives and forks. At some point in future, I’ll go into those in more depth. Until then, I hope the above rules—most of which are still applicable today—have given you a small taste of how Victorian ladies and gentlemen comported themselves at table. 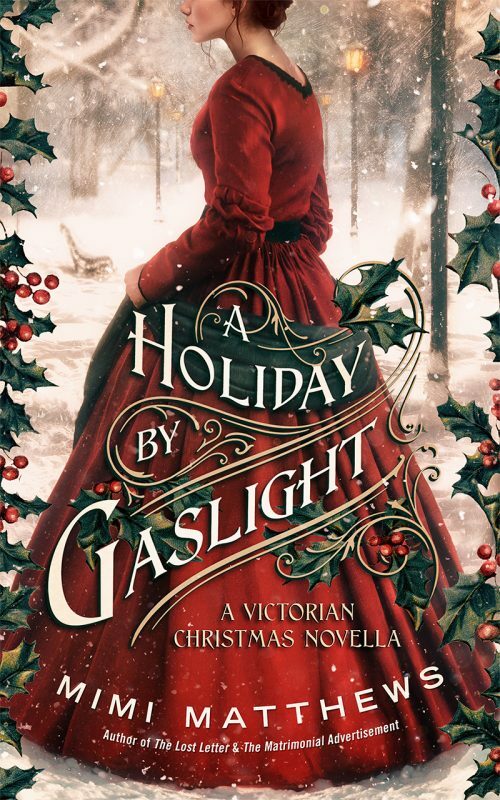 Mimi Matthews is the USA Today bestselling author of The Matrimonial Advertisement, The Pug Who Bit Napoleon, and A Victorian Lady’s Guide to Fashion and Beauty. She researches and writes on all aspects of nineteenth century history—from animals, art, and etiquette to fashion, beauty, feminism, and law. Etiquette for Gentlemen; or Short Rules and Reflections for Conduct in Society. Philadelphia: Lindsay & Blakiston, 1847. Etiquette for Ladies: A Manual of the Most Approved Rules of Conduct in Polished Society for Married and Unmarried Ladies. Philadelphia: J. & J. L. Gihon, 1843. Hartley, Cecil B. The Gentlemen’s Book of Etiquette and Manual of Politeness. Boston: J. S. Locke & Company, 1874. The Golden Rule and Oddfellows Family Companion, Vol. VII. New York: E. Winchester, 1847. Young, John. Our Deportment: Or, the Manners, Conduct, and Dress of the Most Refined Society. Springfield: W. C. King & Co., 1882. For exclusive information on upcoming book releases, giveaways, and other special treats, subscribe to Mimi’s newsletter THE PENNY NOT SO DREADFUL. You can also connect with Mimi on Facebook and Twitter. Oh yes, I can only imagine how they’d feel about smartphone use at the table! Good advise even today. Thanks for sharing. Always refreshing to see that we have not wandered too far from good manners at the table……except of course the phones – a blessing and a curse for this generation. Thank you Mimi! Lots of common sense here and some can are still relevant even to this day.